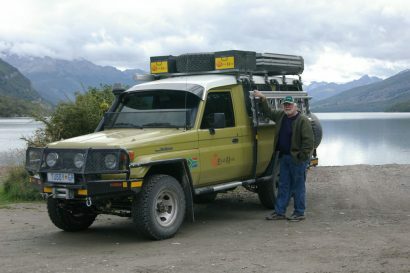 When preparing for an overland journey, buying the right vehicle is only half the job done. 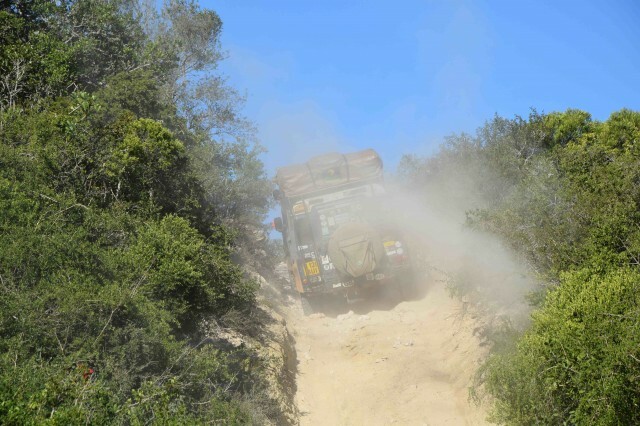 To survive a great traverse between several countries in Africa, knowing how to drive a 4×4 vehicle may be just as important. We are definitely not 4×4 experts. 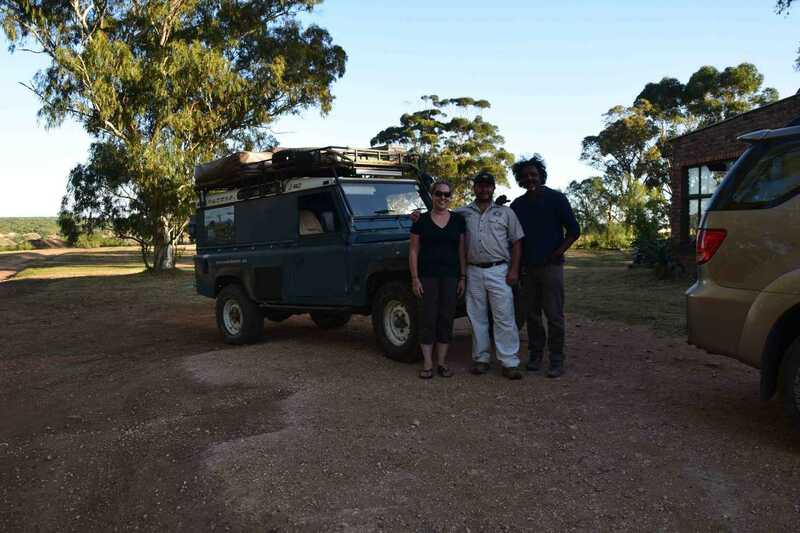 I remember buying our ’91 Land Rover Defender (named Maggie) in 2009 and spending a good half a day running through a huge checklist with the previous owners. High on my list was practicing off-roading, using the differential lock, and low range gears. At the time, all of this was a blur. And if I am honest, I was not completely confident on when and how to engage Maggie in 4×4. 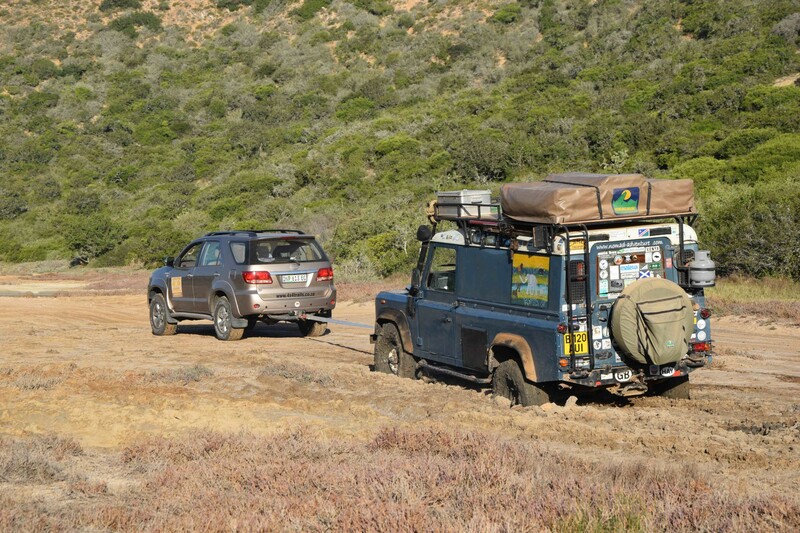 When I did my first overland journey from London to South Africa in 2010, I learnt how to drive Maggie off road by experimenting. I learnt how to deal with recovery situations the hard way: by making mistakes and learning from them. But if I could do it all over again, I definitely would have enrolled in a 4×4 training course to be sure I had the skills to make it there and back safely. 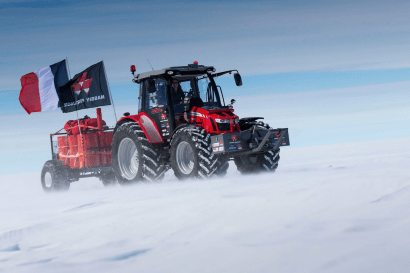 Why do a 4×4 training course? 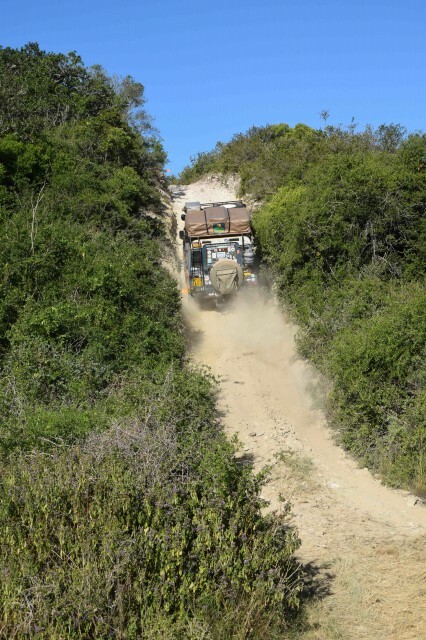 There are many 4×4 skills needed when overlanding a continent like Africa, where road conditions can be really difficult. Some skills, like recovery, might only be needed a handful of times – or not at all if you’re lucky! But to be confident in the ability to avoid or recover from difficult situations, with minimal risk of injury or damage to the vehicle, the right level of training is important. Luckily for us, on our current overland journey from Botswana to Ethiopia, we found a course at the 4×4 Training Academy in Port Elizabeth, South Africa. For R1,200 (approx. US$81) per person, we participated in a day-long basic 4×4 training course. 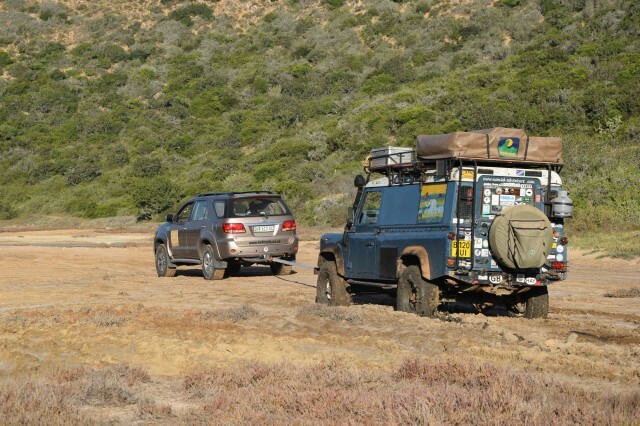 How to choose a 4×4 training course? There are many 4×4 training courses to choose from around the world, at different skill levels – from basic to advanced. In our opinion, it is definitely advisable to find an operator with solid reviews and recommendations. However, finding the best course will depend on what you want to get out of the experience. For us, the most important aspect was whether the instructor could teach us how to use our Land Rover Defender, not just any 4×4. 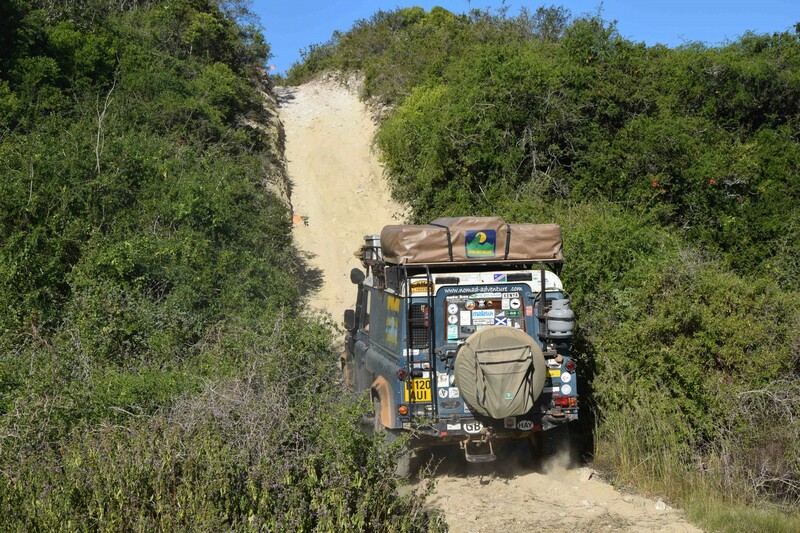 What we liked about our experience with the 4×4 Training Academy was that our instructor, Brent, knew and understood Land Rovers, and focused on giving us practical skills to use in our own vehicle. What do you learn during basic 4×4 training? After a couple of hours of classroom instruction, we were ready to do something practical and get our hands dirty. And boy, oh boy, did we get dirty! Practice using the Hi-Lift Jack before a real-life recovery situation – this is a dangerous tool that can cause injury! If you don’t know how to use a Hi-Lift Jack, it may be better to use another easy and safe option, such as an Air Jack. Make sure that the Hi-Lift Jack is well oiled and free from rust – if not, use WD-40 for lubrication. Insert the Hi-Lift Jack into the jacking points, which should be welded firmly to the vehicle chassis. When jacking the Hi-Lift up or down, avoid placing your head between the arm and the shaft – if the arm snaps back while jacking, it could cause injury. Have a tyre pressure gauge handy to accurately check the tyre pressure. Optionally, it is good to have a tyre compressor on hand to inflate tyres after returning to the paved road – otherwise, make sure to re-inflate tyres at the nearest service centre. 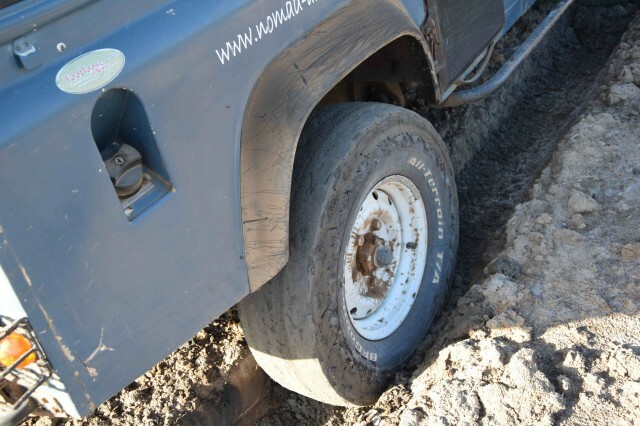 Make sure to know what the best tyre pressure is for driving on on and off road conditions. Locking differentials (sometimes referred to as ‘diff lock’): provides increased traction by ‘locking’ each of the wheels on an axle so that they rotate at the same speed without regard to the traction of the terrain. Gear range: low range gears provide significantly more torque (power) than high range, but the vehicle moves at a much slower speed. Most on road driving occurs with open differentials – at least in our Land Rover. But some lessons can only be learnt by doing. 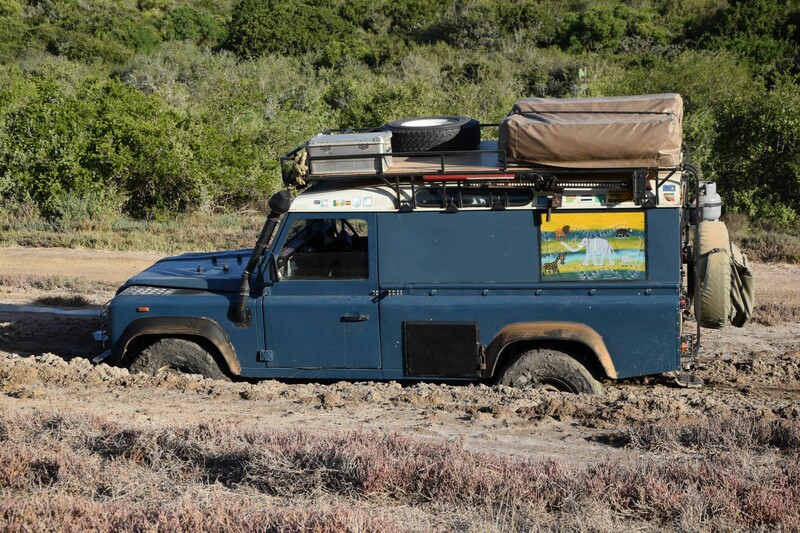 To understand when and how to use low range with differentials locked in a practical setting, we drove Maggie through a number of difficult off road courses. 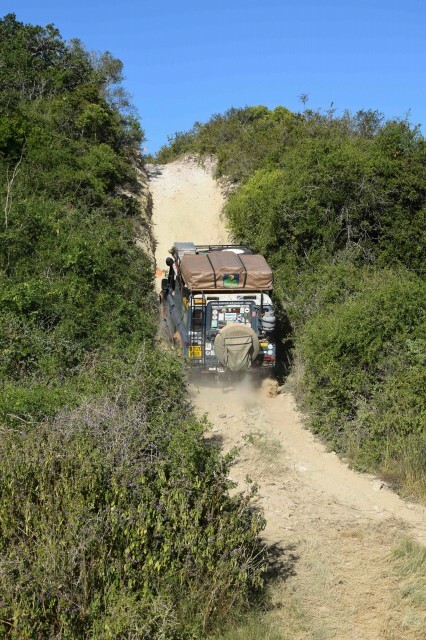 Climbing a steep rocky hill in our vehicle was easier in first gear (low range). When attempting the same hill in second gear (low range), we ended up stalling. Our instructor Brent climbed the same hill in his Toyota using second gear (low range) with no issues – so it’s important to anticipate how your vehicle will perform. Another lesson we learnt was the importance of walking the route before driving it. This may not always be straight forward, but if possible, knowing the obstacles better will help to make decisions on how to traverse them. Our final exercise of the day was to drive through mud to practice recovery skills. As he instructed us to drive through a river bed, our instructor Brent had a huge grin on his face, as he knew we were likely to get seriously stuck. Have the right equipment. Luckily, we discovered during the course (and not on the road!) that we had the wrong recovery equipment. We did not have a kinetic rope or bow shackles, used for recovery rather than towing. Ensure that there is one person designated as the leader. Why? There could be many panicked voices in a difficult situation, and having just one person in control allows for clearer communication during a challenging task. When being recovered by another vehicle, ensure that the stuck vehicle is engaged in gear to give momentum when the recovery vehicle begins to move forward. 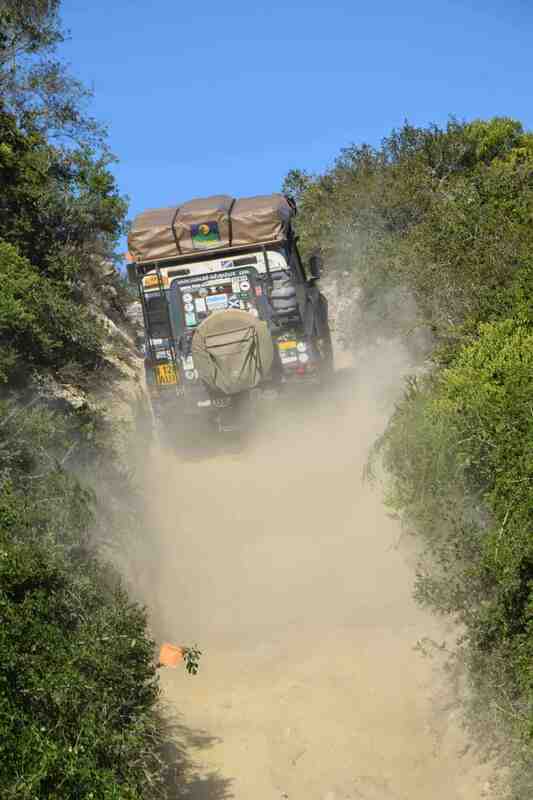 We thoroughly enjoyed our 4×4 training, and feel much more confident on our current overland journey through southern and eastern Africa. 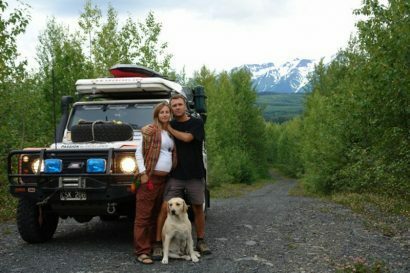 You can follow our adventures on www.maggieinafrica.com.